As the complexity of its circuit boards has increased, Italian industrial robotics leader Robox has adopted XJTAG boundary scan as a dependable, deterministic and easy to use system that outperforms traditional in-circuit and functional test techniques. Choosing XJTAG has also yielded board-space savings, productivity improvement and lower cost of ownership. Today, Robox is producing controllers that combine advanced processing subsystems with network connectivity that requires devices such as Ethernet chips and fieldbus drivers, in addition to interfaces and precision analogue-to-digital converters for numerous sensors and transducers. “Given the increasing complexity of our boards, we identified the need for a dependable and deterministic solution for identifying assembly defects. We also wanted a solution that would help us increase test coverage”, said Mauro Roaro, Senior Hardware Engineer at Robox. Robox has achieved its goal by selecting XJTAG boundary scan to coordinate the systematic testing of all its boards, including communicating with simple test benches comprising custom interface cards that are connected to each unit under test. “Using XJTAG to control our test benches saves developing additional custom hardware”, explains Roaro. XJTAG boundary scan frees test engineers from labour-intensive equipment-programming tasks, and eliminates the lead time and cost of a bed-of-nails fixture for in-circuit tests. 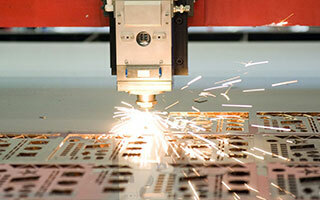 It can also help save space on PCBs by eliminating any need for large numbers of test points. Robox engineers have quickly become proficient XJTAG users, enjoying the flexibility to work at a high level which simplifies programming, or to develop complex tests independently aided by XJDeveloper, which works out how to apply the tests and creates the necessary JTAG test vectors. “XJTAG has delivered great value by helping improve fault diagnosis, test coverage and productivity, and we have received excellent technical support enabling us to get the best from the system”, concludes Roaro. XJTAG is very easy to use and outperforms optical inspection and functional test equipment. It has enabled us to increase test coverage while also providing greater flexibility and lower cost of ownership than bed-of-nails or flying-probe equipment. We can trace defects that would prevent a functional-test program from launching, identify the majority of faults without using any other laboratory instruments, and assess quickly whether a board is worth reworking. The high-level XJEase programming language is easy to work with. XJTAG has delivered great value, and we have received excellent technical support enabling us to get the best from the system. Robox S.p.A., based in northern Italy is a leading producer of electronics, software and development environments for robotics and motion-control systems used in roles such as welding, assembly, cutting, feeding, winding, textile processing, printing and warehouse automation. The company produced its first microprocessor-based controller for industrial robots in 1976, and has continued to advance its range of products while also developing solutions for well-known system-integration specialists and industrial technology brands.